Armenia has voiced “extreme concern” over the escalating conflict in the Gaza Strip. While on an official visit to Kuwait earlier this week, Foreign Minister Edward Nalbandyan stressed that the use of force, which has led to numerous casualties among the civil population, seriously damages the fragile situation in the region. “The use of force and militaristic threats should be stopped. We strongly believe that there is no alternative to the peaceful resolution of the conflict through peace talks,” stressed the top Armenian diplomat according to the MFA Press Office. Hostilities in the region erupted last week after Israel launched its operation against Palestinian militants in the Hamas-controlled Gaza Strip. More than 130 Palestinians, including at least several dozen civilians, have been killed in the conflict so far, with hundreds of people wounded. Israel has reported the deaths of five soldiers and one civilian contractor working for the military. 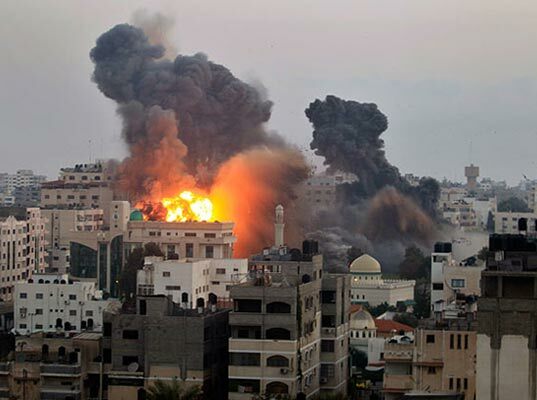 International efforts are now on to broker a ceasefire between Israel and Hamas.